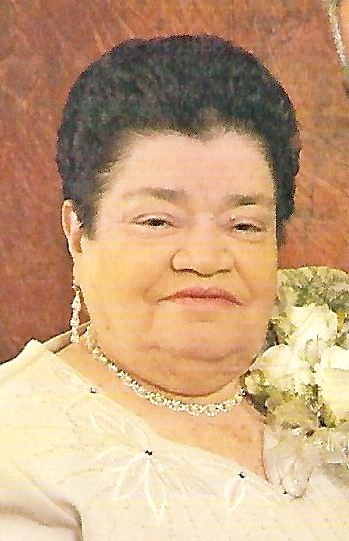 Maria Dolores Diaz, 87 of Perth Amboy, passed away peacefully on Wednesday, March 20, 2019 at her residence with her family by her side. Maria was born and raised in Yaque Abajo, Janico, Dominican Republic and came to Perth Amboy 47 years ago. She was a seamstress for many years. Maria was a parishioner of Our Lady of Fatima Church, Perth Amboy. She is preceeded in death by her cherished sons Adriano and Timoteo Diaz; loving daughter of Damian and Ramona ( Nunez ) Diaz. She is survived by her devoted husband of 61 years Jesus Diaz; beloved mother of Sergio and his wife Ramona, Marta Diaz - Pupek and her husband Christopher, Cornelia "Cookie" Diaz - Lill and her husband Michael, Jose Diaz and his wife Beverly, Mauro "Ariel" Diaz; dear sister of 4 brothers and 3 sisters; adored grandmother 9 and great ~ grandmother of 5; cherished aunt of many nieces, nephews and cousins. We begin to leave on Saturday, March 23, 2019 at 9:15 am form the Gustav J. Novak Funeral Home, 419 Barclay street, Perth Amboy for a Funeral Mass at 10 am at Our Lady of Fatima Church. Visitation will be held on Friday from 5 ~ 9 pm.